Is My Ex (or My Daughter’s Ex) a Narcissist? When women hear that I have written a book about narcissism, they often ask me some variation of the following question: “Is my ex‐husband (or my daughter’s ex‐boyfriend) a narcissist?” (So far, it has always been women asking about men.) My answer to that question is always the same: I do not know. To paraphrase Leo Tolstoy, all good relationships are alike; each bad relationship is bad in its own way. Narcissism in one of the partners is just one possible reason for a relationship to be bad. To decide whether your ex‐boyfriend or ex‐husband is a narcissist, you need to ask a series of questions. The first question is not whether he is Narcissus but whether you are Echo. In the Greek myth, Echo was consumed by love for Narcissus, who loved only himself. Narcissus was a character from Greek mythology. He was a young man who was so handsome that everyone who saw him fell in love with him. However, he did not care about any of the people who fell in love with him. One of his admirers was a nymph named Echo. She pined away for Narcissus until there was nothing left of her but her voice, and all she could do was repeat what someone else had just said. This story was intended to explain the phenomenon that we still call an echo. However, this story also serves as a warning: if you love someone who does not love you back, you can lose yourself. Narcissus was not trying to be cruel to Echo. He never tried to seduce her, or anyone else. He simply felt no attraction to anyone. As a result, he did not care about the people who fell in love with him. His callous behavior angered Nemesis, who was the spirit of divine vengeance. Nemesis punished Narcissus by luring him to a pool, where he fell in love with his own reflection. According to some versions of the story, Narcissus drowned while trying to embrace his reflection. According to others, he starved to death because he could not stop gazing at his reflection. Either way, he died. Then, the flower called the narcissus appeared at the spot where he died. When a woman asks whether her ex is a narcissist, I can be reasonably sure that she was in a relationship that ended badly and had probably been bad for a long time before it ended. The fact that she is wondering whether her ex is a narcissist suggests that the relationship suffered from a common problem: an imbalance of power. She wanted the relationship more than he did. As a rule, the person who wants the relationship less has power over the other person. In the Greek myth, Narcissus cared so little about other people that he never used this power. But in real life, narcissistic people often do exploit others. So do sociopaths. The difference is that narcissists view you as an underling, while sociopaths view you as a thing. A good relationship involves a certain amount of give and take. In an unequal relationship, one person may do lots of giving, while the other does nothing but take. The taker may continue to take, as long as the taking is convenient. However, a taker may dump the giver without warning, as soon as something better comes along. 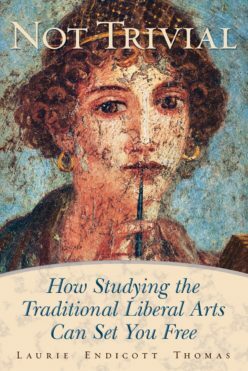 The ancient Greeks had a great appreciation for the concepts of balance and harmony. The relationship between Echo and Narcissus lacked harmony because it lacked balance. To the ancient Greeks, both Echo and Narcissus would have seemed to be unbalanced emotionally. Narcissus is obviously too self‐absorbed, but Echo is far too other‐directed. 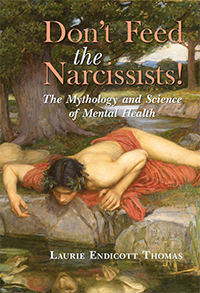 Narcissus is the namesake of narcissistic personality disorder. In contrast, Echo represents the opposite problem: dependent personality disorder. Worse yet, her obsessive attraction to Narcissus resembles an addiction: an overwhelming craving for something that is obviously bad for her. As a result, neither Narcissus nor Echo is capable of having a balanced and harmonious relationship with another person. If you are a bit like Echo, any romantic relationship is likely to turn sour, even if your partner is not a narcissist. A person who is emerging from a bad relationship, especially if she or he has had a series of bad relationships, should consider the question of whether she or he is like Echo. You cannot expect to have a good relationship unless you can walk away from people who treat you like dirt. Ideally, you would notice at an early stage that the relationship is unbalanced. Unfortunately, that is not always possible. Narcissists can seem normal, at first. Typically, they seem to be better than normal, at first. Their abnormally high self‐esteem and self‐confidence are attractive to the unwary. Yet eventually, the narcissist’s “mask of sanity” may slip. Unfortunately, it tends to slip only after you have already put a lot into the relationship, such as having a child. A relationship with a narcissist often unravels after the birth of a child, typically because the narcissist is jealous of the baby. Narcissists are big babies themselves, and they can become jealous when a real baby is getting all the attention. When a woman is asking whether her ex is a narcissist, I take it as a good sign. It means that she has escaped from a bad relationship with at least a shred of dignity. She is at least beginning to doubt that the problems in the relationship were entirely her fault. Yet even if her ex had treated her badly, it does not mean that he is a narcissist. He might simply have been a taker who was not that into her. Many women are devastated when a long‐term boyfriend who had been unwilling to marry her or a husband who had been unwilling to have children suddenly dumps her for another woman, whom he promptly marries and impregnates. A man’s unwillingness to commit can mean either of two things: either he is not mature enough for a permanent relationship, or he is just not that into you. Either way, you are probably wasting your time. Narcissism means self‐worship, which is the deadly sin of pride. Narcissists try to occupy a higher position within the social pecking order than they deserve. As a result, narcissists treat their equals as if they were underlings. To figure out whether your ex is a narcissist, you need to figure out how much of the population he considers to be beneath him. If a man feels that he is superior to all women, we say that he is sexist, a male chauvinist, or a misogynist. If a white man feels that he is superior to people of color, we call him a racist. Only if a white man feels that he is superior to most other white men do people start calling him a narcissist. Previous Previous post: Peace on Earth, But Only to Men of Good Will? Next Next post: Why Is New Year’s Day on January 1?